Sun., Apr 22, 1917 S29 C 2.6. 6 AM Weather – Fine. Wind North. 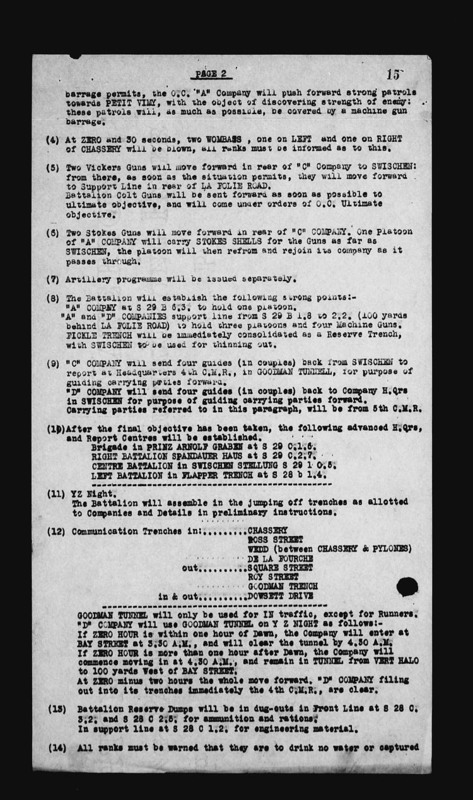 Battalion Headquarters S 18 D.8.2. “C” Company T 19 B.8.5. Railway embankment. “D” Company S 18 D Railway embankment. “A” Company (2 Platoons) T 19 B.2.3. to T 19 A 2.3. 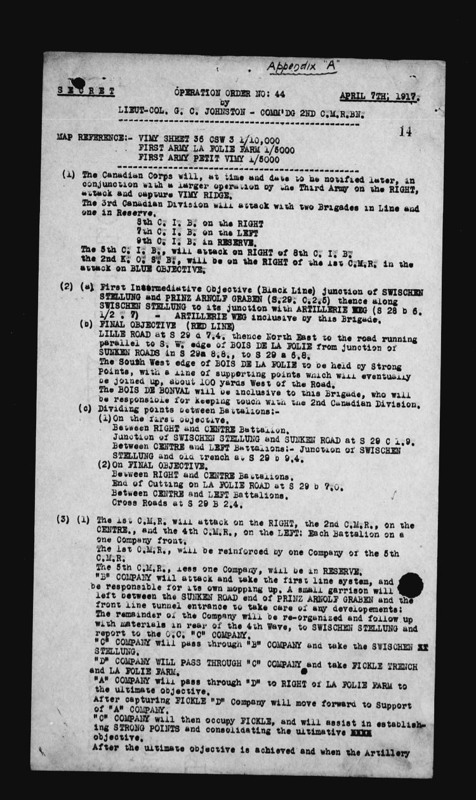 Sat., Apr 21, 1917 S29 C 2.6. 6 AM Bright and few showers – Wind North. Hostile artillery active during morning shelling back of Vimy Ridge. 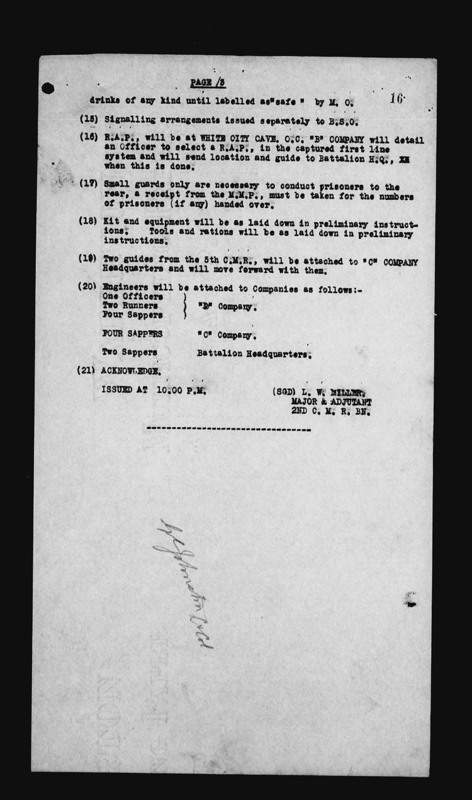 8 PM “A” Company 2nd C.M.R., relieved 1 Company of the 1st C.M.R.Battalion in VIMY.